Police near the scene of a shooting. 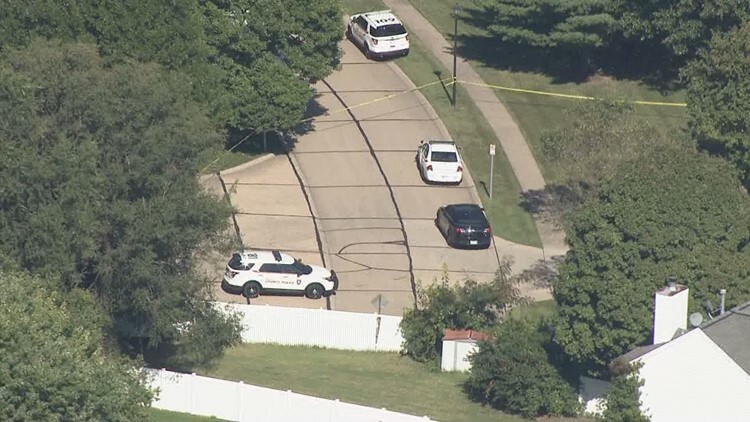 Police said a student was shot near Hazelwood Central High school. On September 12, a student was shot behind Hazelwood Central after school. It's still unclear what led up to the shooting. FLORISSANT, Mo. – The Hazelwood School District has rescheduled two high school football games over safety concerns. The Hazelwood Central vs Hazelwood West game was originally scheduled for Thursday night, but it has been rescheduled for Monday, September 17 at 4 p.m.
On September 12, a student was shot behind Hazelwood Central after school. It’s still unclear what led up to the shooting. The student who was shot has not been identified. Police have not said if they have any suspects in custody. In the Hazelwood School District, the safety of our students and staff is always our number one priority. Due to safety concerns and as a result of recent events in the community, as a precaution, we are canceling Hazelwood Day at Lindenwood University. We are working on rescheduling our games. We apologize for any inconvenience this may cause; however, the District will always be on the side of safety. The Hazelwood East vs Riverview Gardens game was scheduled for Thursday night, but has been rescheduled to Saturday 10 a.m. at Hazelwood West. ‘Hazelwood Day’ at Lindenwood University on Saturday has also been canceled.